Hi everyone. Here’s another commission I recently completed for Martin Lambert for the forthcoming Heroe’s Tears RPG setting. This was an interesting piece in that while it depicts an underground complex, the ceiling of the cavern is composed of some sort of transparent crystal, creating a lush “bio-dome” sort of environment below-ground. 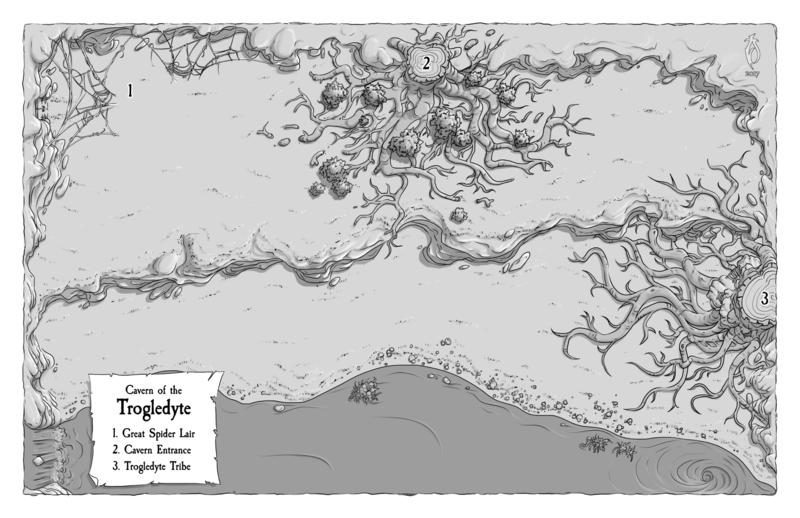 This area was formerly inhabited by elves but now troglodytes have made their home in the roots and fungi of the great trees. Drawing was done in Krita, lettering in Inkscape.